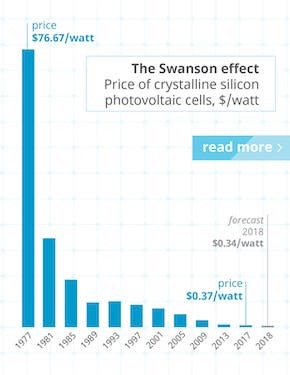 It’s been a while since we provided an update on the state of Tesla’s Supercharger network, so it seemed worth giving readers an idea of just how rapidly the company is aiming to grow its network of proprietary electric vehicle superfast-charging stations over the coming months. 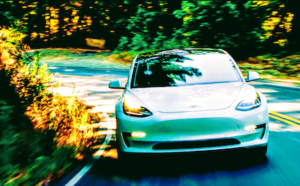 Of course, this is all the more important and interesting as Tesla Model 3 production ramps up and the total fleet of Tesla vehicles on roads around the world grows at a quicker and quicker pace. 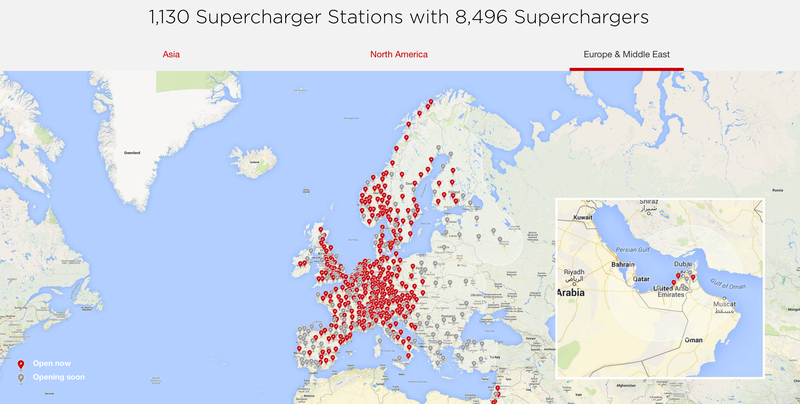 Based on the maps seen on the Tesla website, a very large number of new Supercharger stations will be opening “soon” — with particularly large numbers to be opened in North America, China, and Eastern Europe. 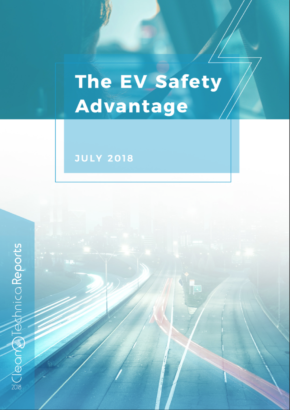 With regard to North America, what’s probably most notable is that the plan is clearly there to close off all remaining gaps in long-distance travel routes … but also that the company is working to further develop the charging infrastructure within large cities where Tesla ownership rates are high. 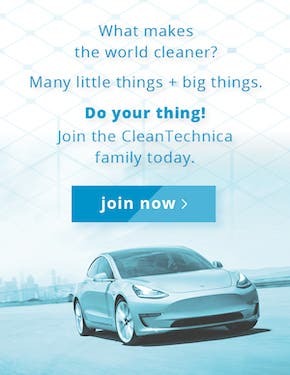 Clearly, this is partly an attempt to provide for the needs of Model 3 buyers who don’t have access to home charging facilities (and will thus be reliant upon public facilities). With regard to the USA specifically, California, Texas, Florida, Oregon, Washington, Colorado, and pretty much all of the Northeast will be built out considerably more than they are now over the near term — if the company’s map for planned stations is to be believed, anyways. 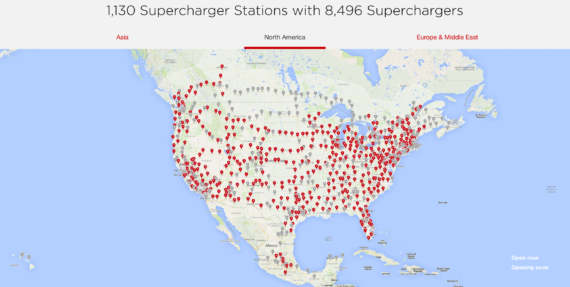 It’s also interesting that North Dakota will be getting its first stations soon, meaning every state in the contiguous US will then feature Supercharger stations. 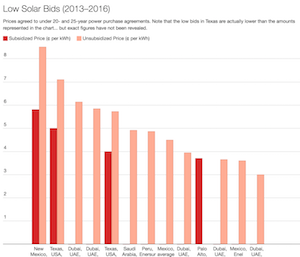 With regard to Mexico, Tesla is now counting on quite a buildout in the country, with the plans slated to allow for nearly continuous travel from Texas to the Yucatán (there’s a further gap that will have to be bridged). Also noteworthy is that Monterrey and Guadalajara will both be getting their first stations. With regard to Canada, the plans will see cross-country travel made possible, with the prairie provinces slated to get their first stations as well as New Brunswick and Nova Scotia. 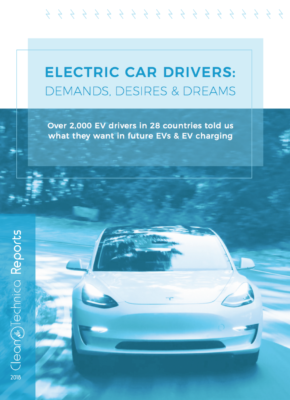 Moving on to Europe, while Tesla’s plans call for a wide buildout everywhere, the expansion into Eastern Europe is particularly notable. On that count, the countries of Lithuania, Latvia, Estonia, Russia (outside of St Pete and Moscow), Ukraine, Romania, Serbia, Macedonia, Bulgaria, and Greece are all slated to get their first Tesla Supercharger stations before too long. It’s very noteworthy that the plans don’t call for any stations to be located in Belarus — I guess the plan is for those heading to Russia (to St Petersburg or Moscow, to be more precise) to head through the Baltic countries. 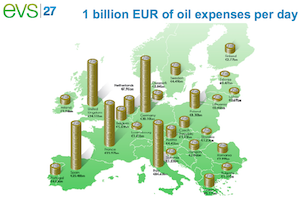 Other noteworthy items include: Northern Ireland getting its first Supercharger station; gaps being filled throughout the Scandinavian network; western Portugal and Spain getting a very large buildout; and the city of Palermo near the “boot tip” of Italy getting a station. Expansion into Turkey will also be intensified, with quite a few new stations going up in that populous country before too long (I guess that there are more Tesla owners there than I had realized). 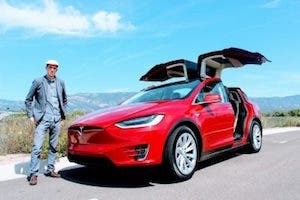 The United Arab Emirates (UAE) will also be getting a number of new stations, following not too long after a number of interesting announcements concerning a Tesla taxi service there. Moving onto to China, expansion throughout the country will be extensive in 2018, with pretty much all of the major trade/business routes there seeing the gaps filled in. It should be noted that the western desert regions will remain mostly without Supercharger stations, but that isn’t surprising, as travel by car into those regions is fairly limited. South Korea and Japan will both be getting a fair number of new stations as well, with the most notable news being that Hiroshima will get its first Supercharger station, and that Tesla’s plans still don’t call for the development of any stations on Japan’s relatively rural northern island. Onwards to Oceania: Australia will get a fair number of new Supercharger stations, with the area around Melbourne being the site of a few and a chain through Sydney and up to Brisbane being the site of most of the rest. Perth in Western Australia will be getting a second station as well — this one much closer to the city than the previous one. 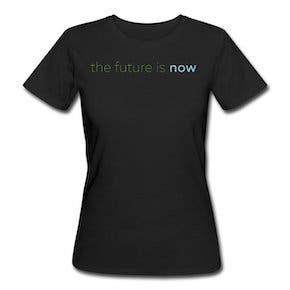 Plans for Tasmania remain non-existent. With regard to New Zealand, South Island will get its first Supercharger stations, including one just outside of Christchurch and a number elsewhere (stations close to Auckland and Wellington). 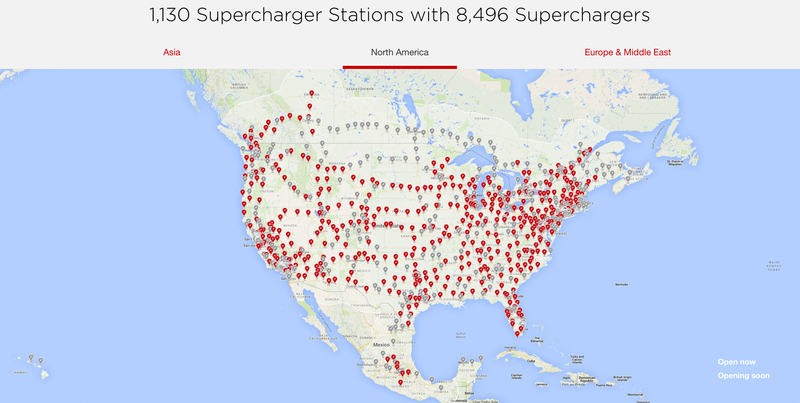 Overall, Tesla’s plans for its Supercharger network seem fairly ambitious (as we already knew). Who knows how long it will take them to achieve it? Presumably, though, at the very least, the network will be fairly well built out by the end of the year (it arguably already is). 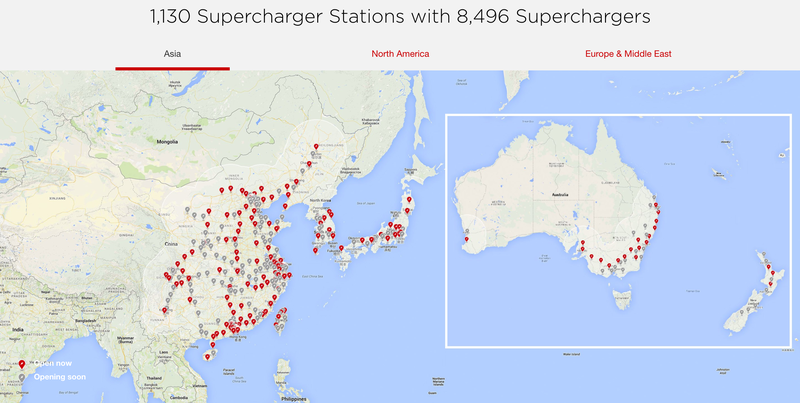 Check out the Tesla Supercharger maps in more detail here.